A full horoscope chart will help you work out what you truly need, help you understand who you truly are... and make the improvements to your life you have long been dreaming of. A fascinating, detailed look at what those cosmic forces really did have in mind for you when you first came into the world. With your Moon sign, your rising sign and the positions of all the other celestial movers and shakers at the moment of your birth, I can reveal the secret of the real you. The you that you recognise, the you that you struggle with, the you that you love (and love to hate). Your love life, your luck, your challenges and your chances. Understand them and you will be the best you that you can be and get the future you long for. 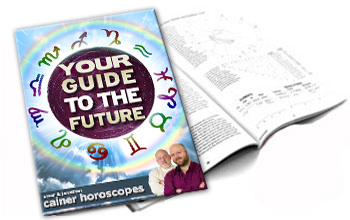 Would you like to order a '7 Year Life Map' or 'Partnership Profile' as well as a 'Guide to the Future' or 'Personal Profile'? click here.